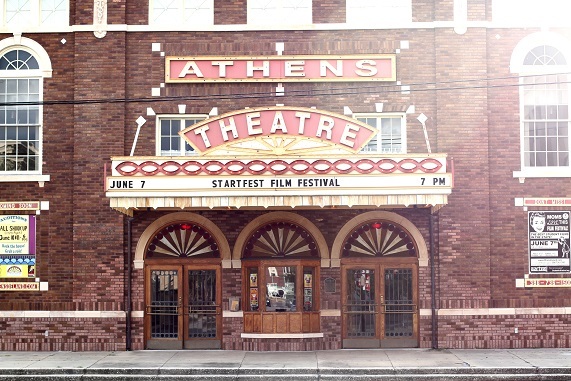 Kyle Snavely talks about the Student Art Festival [STARTFEST], which had its first screening this year. Kyle discusses the reasons the festival was founded, what sets it apart and the unique way it which it enables students to receive feedback and criticism on all works submitted. How was the Student Art Festival founded? And why? Since there was nothing like what I was looking for out there, I decided to make one! To make a film festival where students, and only students, go head-to-head for a chance to be crowned the best of the best! The educator in me also wanted a way to help connect the dots between aspiring filmmakers and current industry professionals. I wanted to create a place where students not only get a chance to compete and see their work on the silver screen, but also a place where they can learn and improve as filmmakers. So a group of us got together in January of 2012 and created Student Art Festival [STARTFEST] with the mission to help educate, exhibit and reward the achievements of aspiring high school and college students. 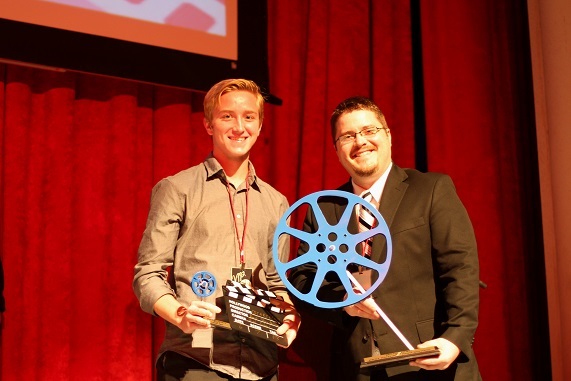 What sets [STARTFEST] apart from other student film festivals? 1. Industry Professional Judges. Since our festival is a competition, we needed qualified judges, so we gathered a group of industry professionals to judge the submissions. People who are in the industry right now and know what they're talking about. 2. Consistent Judging Criteria. We wanted our judging criteria to be fair and transparent, so we posted on our website a comprehensive and detailed description of how we evaluate each entry. 3. Constructive Feedback. Each and every student who submits to our festival will get something out of it. Not just a, "Yes you made it into the festival" or a, "Better luck next time." Every student, regardless if his/her film is accepted into the festival, receives constructive feedback from one of our industry professionals. 4. Creative Freedom. Unlike many video contests, we don't want to limit what students can submit to our festival. If it's made by students, we accept it. 5. Open Competition. Many festivals determine winners behind closed doors. We take the opposite approach. Our festival results are open and public. We want everyone to know where they placed and how they stack up against the competition. This helps students focus on areas where they can improve and celebrate areas of success. 6. Exhibition. We wanted to give our participating students a place where they can see their hard work on the silver screen! Many of participants enjoyed screening their work, and hearing the audience reaction, for the first time at our festival. 7. Networking. Connecting with people in this industry is critical, and our festival gives this opportunity to students, who are wanting to get into this industry, a chance to connect with each other as well as our judges during the festival. 8. TROPHIES! A lot of competitions and festivals only give out certificates, or laurels. We wanted to give our participants something tactile, something they can put on their dresser, or in their classroom, something with weight. We give out trophies! The [STARTFEST] website says it allows students to receive constructive feedback on their work. How does it do this? Our competition is completely online. So our judges are able to view the students work from anywhere in the world. Once the judge has finished evaluating the entry, he/she fills out an objective "critique sheet" which breaks the film/video down into 5 elements (Lighting, Audio, Cinematography, Editing, and Story). Each "caption" is based on achievement, so the better the student ties their L.A.C.E.S. (Eh? See what I did there? :) ) the higher the score. The evaluation highlights both areas where the student succeeds and where the student needs to improve. We then send back the evaluation, minus the scores, to the student so he/she can utilize the information and improve as a filmmaker. The scores are announced at the festival itself. Last week [STARTFEST] had its very first showing. How did it go? And what struck you the most about the films that were shown? The festival was amazing! Everything went off without a hitch (a huge relief), we received some very positive feedback and the students really enjoyed it! What struck me most about the films shown was how impressive they were. Not that they were student films, but how impressive the films were on their own. Then you add that they were made by students and it just blows your mind! I am always impressed by the work and originality that students create. What do you hope will be the future for [STARTFEST]? I don't want to get too far ahead of ourselves, but I hope to one day have [STARTFEST] be the place where everyone goes to see the best of the best in student art.